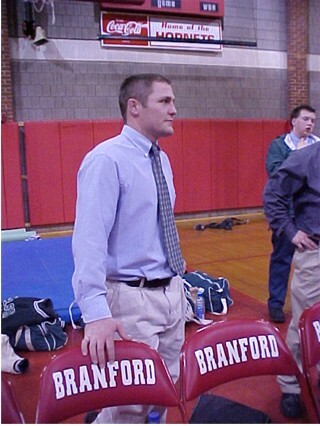 Head Coach Craig Vedrani brings the tradition of pride and character to the mat at Guilford....NICE! From left to right (back row)alumni Coach Anderson,and (front row) Coach Jeff Sullivan, Coach Vedrani, and Coach Crocco. 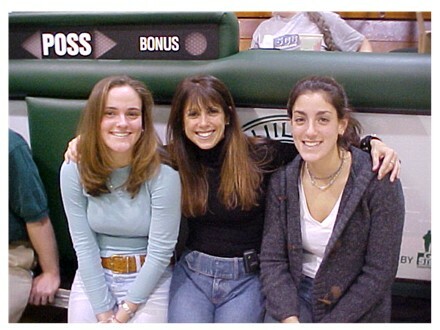 Team photographer Marci flanked by alumni managers Jacqueline and Hillary at the Guilford Invitational. 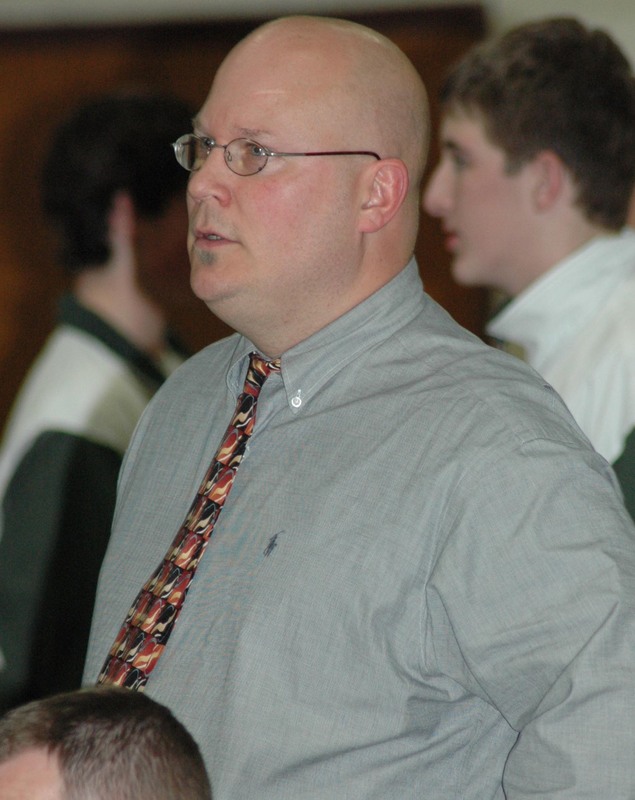 Assistant Coach Brian Valaitis joins the rank of Guilford coaches . 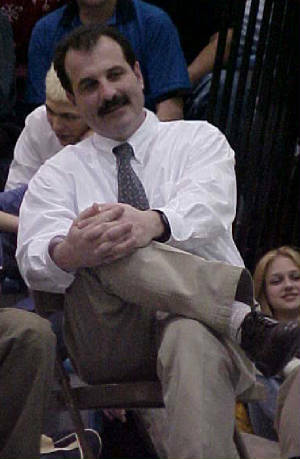 Assistant James Offredi offers his experience and intensity. 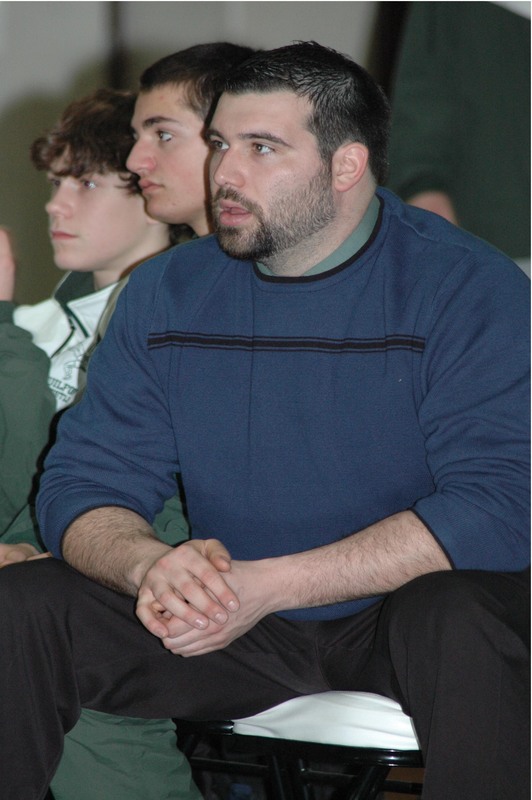 Coach Fon can now be found working with the Adam's Middle School Wrestlers...Yeah Boy!